The popular Isla Necklace combines small interlocking 24ct gold plated rings on a Sterling Silver 18″ chain. The chain has an adjuster at 16″ so you can choose the length that best suits you. 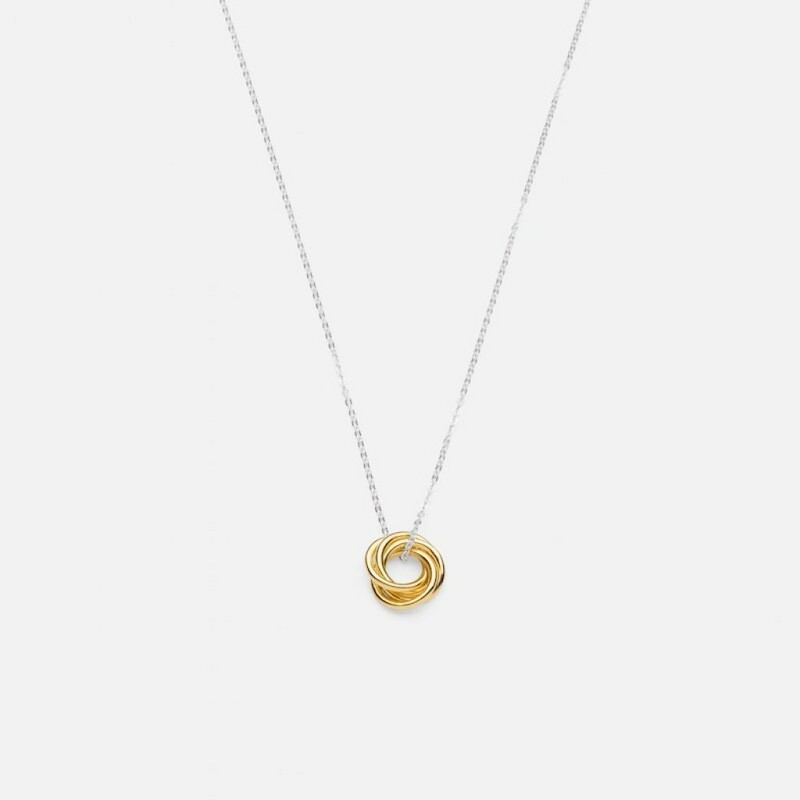 The Isla Necklace can be worn on it’s own or can be teamed up with any of our pieces in the collection such as the Isla Gold Ring and Isla Gold Bangle.